Having studied Architecture in England and the US, Samee spent 10+ years practicing architecture, working on hospitals, museums and even high end residential projects, before shifting to become a construction project manager and overseeing designs come to life as real buildings. He’s keen to make a shift back to design in some form, but enjoys both learning and sharing with others. Along with being a strong supporter of Leap's mission, Samee has a passion for design, a love of building things, and an interest in fostering the creative process in students. He's been involved with Leap's Sandcastle Classic since 2005. 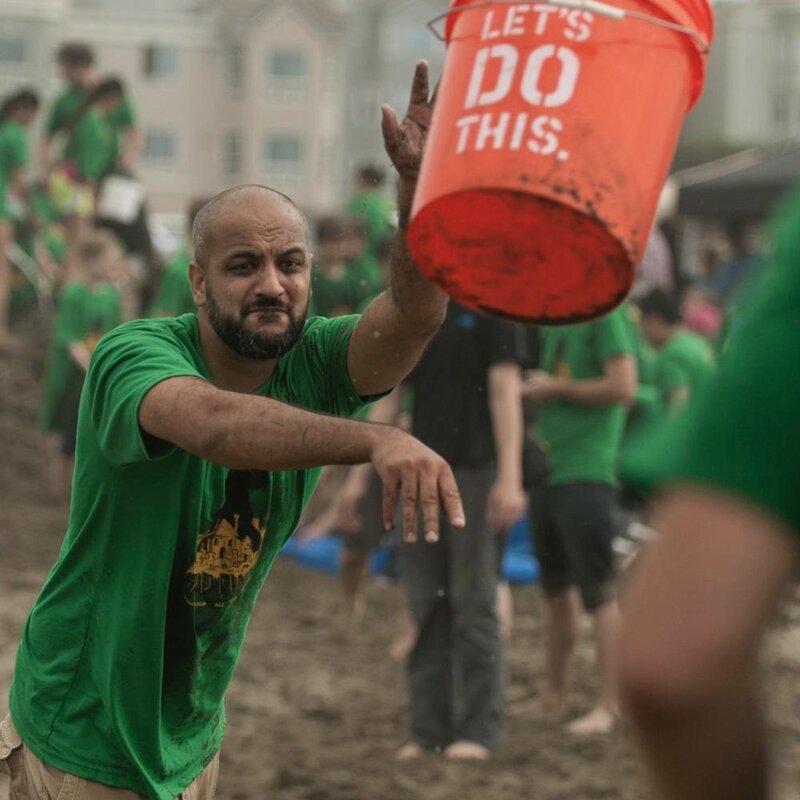 In spring of 2014 he joined Leap's Board of Directors where he serves as the Sandcastle Committee liaison, and brings tactical skills, design insights and hopefully some smiles to the board. In 2017 he took on another role with Leap by becoming a resident Teaching Artist, focused on Architecture and the Built Environment, where students get to learn through questions, observations, drawing and building.